Dina Demner-Fushman, MD, PhD leads research in information retrieval and natural language processing; providing clinical decision support through linking evidence (text and images) to patients’ data; answering clinical and consumer health questions; and extracting information from clinical text. Dr. Demner-Fushman earned her doctor of medicine degree from Kazan State Medical Institute in 1980, and clinical research Doctorate (PhD) in Medical Science degree from Moscow Medical and Stomatological Institute in 1989. She earned her MS and PhD in Computer Science from the University of Maryland, College Park in 2003 and 2006, respectively. She earned her BA in Computer Science from Hunter College, CUNY in 2000. Dr. Demner-Fushman is a lead investigator in several NLM projects in the areas of Information Extraction for Clinical Decision Support, EMR Database Research and Development, and Image and Text Indexing for Clinical Decision Support and Education. The outgrowths of these projects are the evidence-based decision support system in use at the NIH Clinical Center since 2009, an image retrieval engine, OpenI, launched in 2012, and an automatic customers’ requests answering service that supports NLM customer services since May 2014. 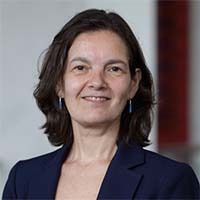 She is the author of more than 120 articles and book chapters in the fields of information retrieval, natural language processing, and biomedical and clinical informatics. 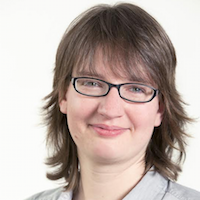 She has co-authored a textbook in Biomedical Natural Language Processing published in 2014. Since 2013, I have been working as Assistant Professor (tenured as of 01/2016) at the Web Information Systems group, Delft University of Technology. Between 2011 and 2012 I was a Postdoc in the same group. I received my PhD in 2010 from the University of Twente, where I worked in the Human Media Interaction group. The Otto-von-Guericke University of Magdeburg in Germany was my home during my undergraduate years as a student in computer science. In the past, I have worked on a variety of topics in the fields of information retrieval & data science, including query performance prediction (the topic of my PhD thesis), social search, computational social science, learning to search and IR for specific user groups. I have diverse research interests and am always happy to dive into a new area. Together with four PhD students I am supervising (Guanliang Chen, Yue Zhao, Felipe Moraes and Dan Davis), I am currently focusing on large-scale learning analytics and how to incorporate search into the learning process at scale. In 2016 and 2017 I have been awarded two prestigious personal grants by the Netherlands Organisation for Scientific Research (NWO) with a total funding of more than 1 million euros; this translates into 4-5 PhD/postdoc positions in the developing “search as learning” research area; take a look at the Dagstuhl Seminar I co-organized on the topic to get an idea of what it is about. TU Delft is a very active provider of Massive Open Online Courses (MOOCs) on the edX platform, which provides a rich experimental playground for my Lambda-Lab team. Today’s Web search engines are engineered and optimized to fulfill individual users’ lookup tasks. This efficiency, however, also means that we largely view search systems as tools to satisfy immediate information needs, instead of rich environments in which humans heavily interact with information content, and search engines act as intelligent dialogue systems. In recent years, there has been a growing recognition of the importance of studying and designing search systems to foster discovery and enhance the learning experience during the search process outside of formal educational settings (« search as learning »). In this talk, I will outline the current research paradigms in search as learning as well as the numerous research challenges that need to be tackled.